Siliguri/Darjeeling: The tourism industry is pinning its hopes on the visit of chief minister Mamata Banerjee to Darjeeling at the end of this month. 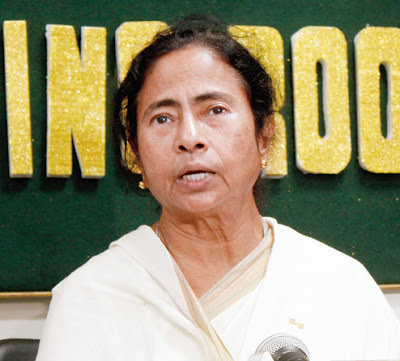 After a gap of six months, Mamata will be visiting the hills and will attend the tourism festival organised by the Gorkhaland Territorial Administration (GTA) in different towns. The sector has witnessed a decline in tourist inflows due to the recent statehood agitation. "The chief minister's visit is significant for the entire industry as it would help us in passing a message that all is well in Darjeeling and that tourists can come and enjoy the winter season. When the head of the state attends a festival meant for tourism, it will surely bolster the confidence of travel houses which will no longer be hesitant to recommend Darjeeling to tourists," said Samrat Sanyal, who is associated with travel trade. Even though the 104-day strike was withdrawn just before Puja, tourists did not flock to the hills after that. The situation hasn't changed this winter. "There have been numerous queries but very few bookings. It seems that some confusion still lingers in of peoples' minds.The chief minister's visit will surely help," said Tanmoy Goswami, a travel planner based in Siliguri. While those in travel trade are keeping fingers crossed, GTA officials, headed by Binay Tamang, are preparing for the festival to send the message to travellers that Darjeeling is ready to welcome them again. However, some discordant notes were still struck. "The tears of the 13 martyrs (who died during the agitation) have not dried and yet the GTA is preparing for a tourist festival. Tea garden workers have been facing difficulties because of no wages for three months. Our party condemns the decision to organise a tourist festival at this time," said Govind Chhetri, spokesman for the hill-based Communist Party of Revolutionary Marxists (CPRM).